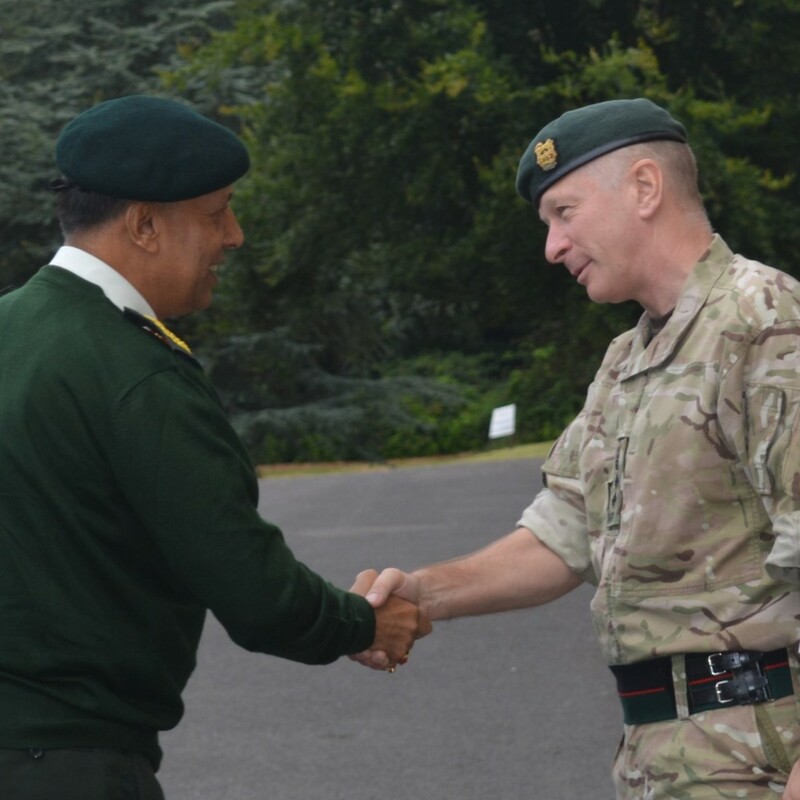 On the morning of Friday 12 August 2016, HQ Brigade of Gurkhas (HQ BG) welcomed Major General Sundar Pudasaini, Adjutant General Nepalese Army, for a briefing as part of an official visit to the UK. 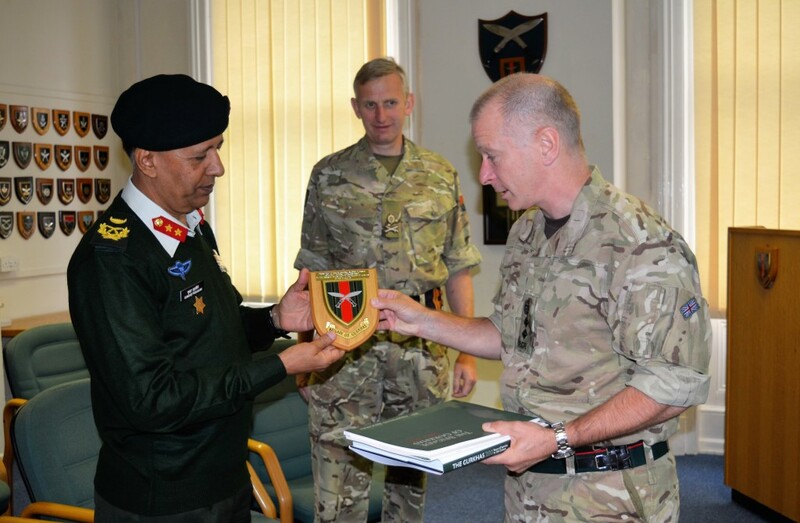 Maj Gen Pudasaini is visiting as part of a busy programme which will include a trip to Edinburgh to see the Nepalese Army Band who are performing in this years’ Tattoo. 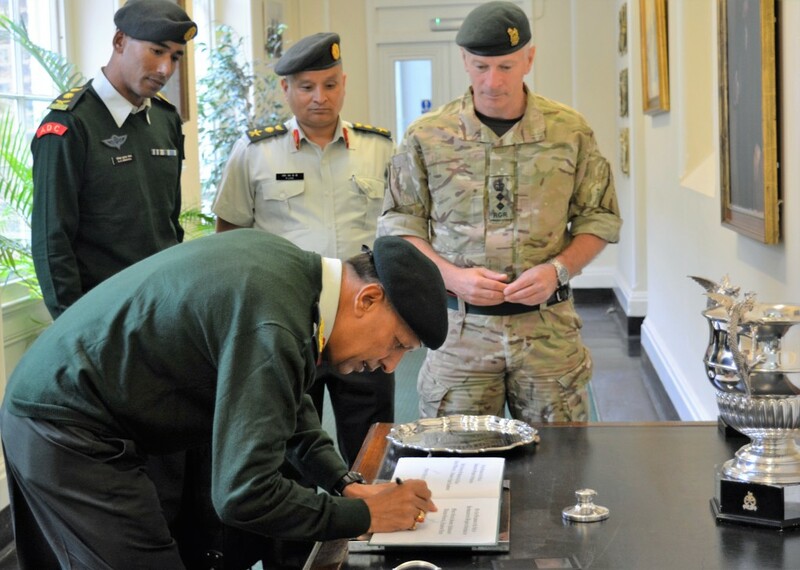 Maj Gen Pudasaini was accompanied by his ADC, Captain Rabindra Shrestha, and the Military Attaché to the UK, Colonel Pradeep Jung KC and was escorted by Major General Richard Stanford MBE, General Officer Commanding Regional Command (GOC RC). 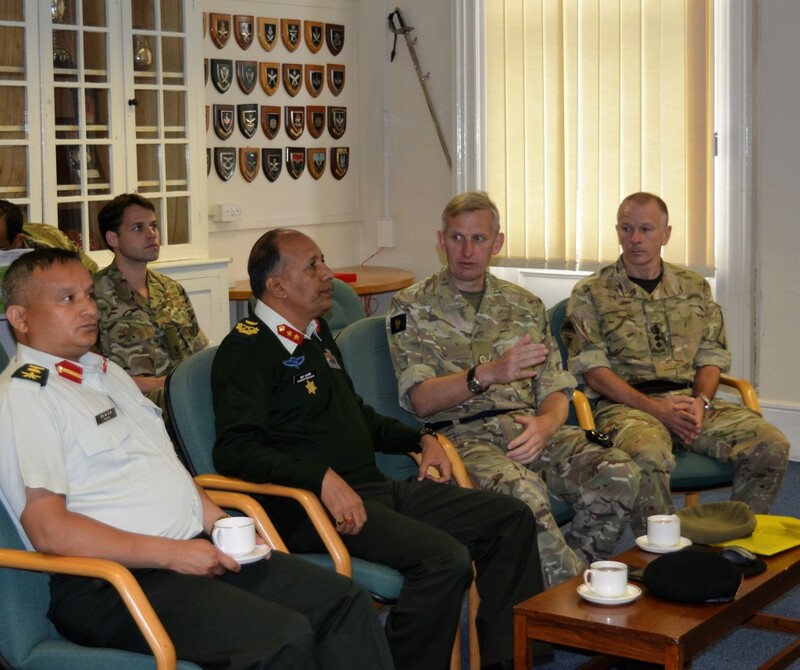 Following a traditional Nepali welcome, the group moved to the conference room and briefs were given by GOC RC, who, as the officer responsible for BGN was able to update on ongoing matters, then Colonel BG, Colonel James Robinson, who spoke on the Brigade, its current form and commitments and the plans for the future. Then Major Rob Oakes, OC 69 Sqn QGE briefed the General on Op MARMAT – the QGE’s ongoing reconstruction efforts in Nepal.